It is raining sales this month! If you missed the exciting deals offered on Flipkart's Mobile Bonanza sale, here is another opportunity to grab yourself a brand new phone. Like Mobile Bonanza sale that offered lucrative deals on Mobile phones, the e-commerce giant has officially announced Qualcomm Snapdragon sale on its platform. This special sale on Flipkart is held from March 29 to March 31 that brings discounts on mobile phones. There are huge discounts on newly launched phones as well as flagship devices as a part of this three-day sale. 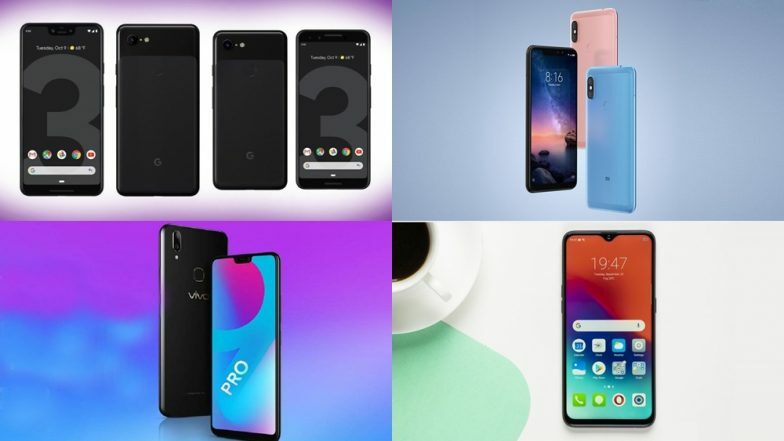 Flipkart Mobile Bonanza Sale 2019 Begins: Discounts on Realme Note 7, Redmi Go, POCO F1, Samsung Galaxy A50 & More. Xiaomi Poco F1: Xiaomi’s flagship device under Poco Series - POCO F1 is up for grab at an attractive price point during Qualcomm Snapdragon Sale. As a part of this sale, the interested customers can avail this opportunity to get the device for just Rs 17,999 for 6GB RAM and 64GB Rom variant. The phone is shipped with 6.18-inch display, Qualcomm Snapdragon 845, dual rear cameras (12MP + 5MP), 20MP selfie camera and 4000 mAh battery. Asus Zenfone Max Pro M1: The Zenfone Max Pro M1 smartphone from Asus India is available at Rs 7,999 for 3GB and 32GB internal storage version during the ongoing sale on Flipkart. The 4GB RAM and 6GB RAM variants are priced at Rs 9,999 and Rs 11,999 respectively. Google Pixel 3: Google’s new generation Pixel 3 devices are also available for sale on Flipkart as a part of Qualcomm Snapdragon sale. Launched in the country at Rs 71,000 for 4GB RAM, the phone is up for grab at a discounted price of Rs 57,999. On the specification front, the Pixel 3 gets 5.5-inch FHD+ display, Snapdragon 845, 4GB of RAM, 64GB internal space, 2915 mAh battery, 12MP rear camera, dual 8MP front camera and Android Pie OS. Realme 2 Pro: Realme’s popular offering – Realme 2 Pro is offered on Flipkart at a price point of Rs 11,990 for 4GB and 64GB variant. Offered with a discounted price of Rs 1000, the Realme 2 Pro is one of the powerful devices available in the market. The device comes with 6.3-inch FHD+ display, Snapdragon 660 SoC, up to 8GB of RAM, 128GB internal memory, 3500 mAh battery, dual rear camera (16MP + 2MP), 16MP selfie camera and ColorOS 5.2. Other smartphones listed on Flipkart during Qualcomm Snapdragon sale are Nokia 6.1 Plus, Asus Max M1, Xiaomi Redmi Note 5 Pro, Asus Lite L1, Redmi Y2, Redmi Note 6 Pro, Moto E5 Plus, Motorola One Power, Vivo V15 Pro, Asus Zenfone 5z, Vivo V9 Pro, Realme C1, Honor 7A, LG G7 ThinQ, LG V30+, Oppo R17 Pro and much more.